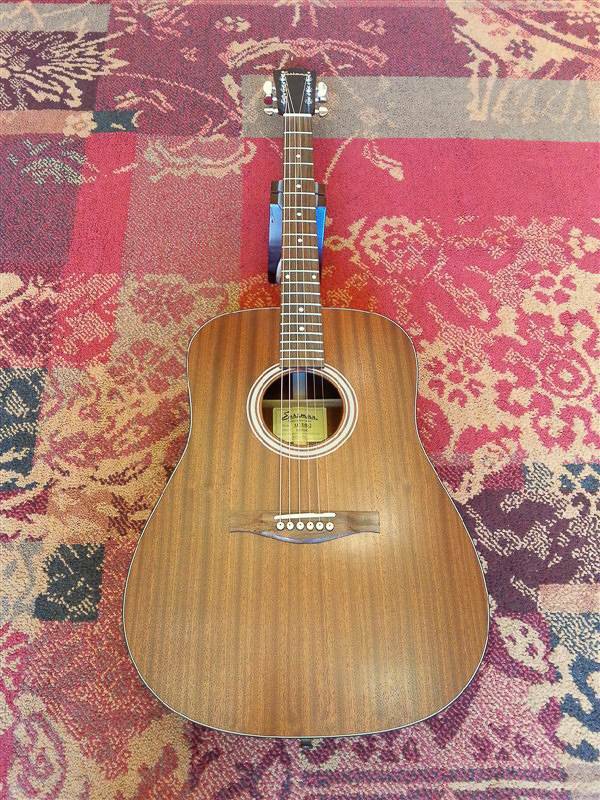 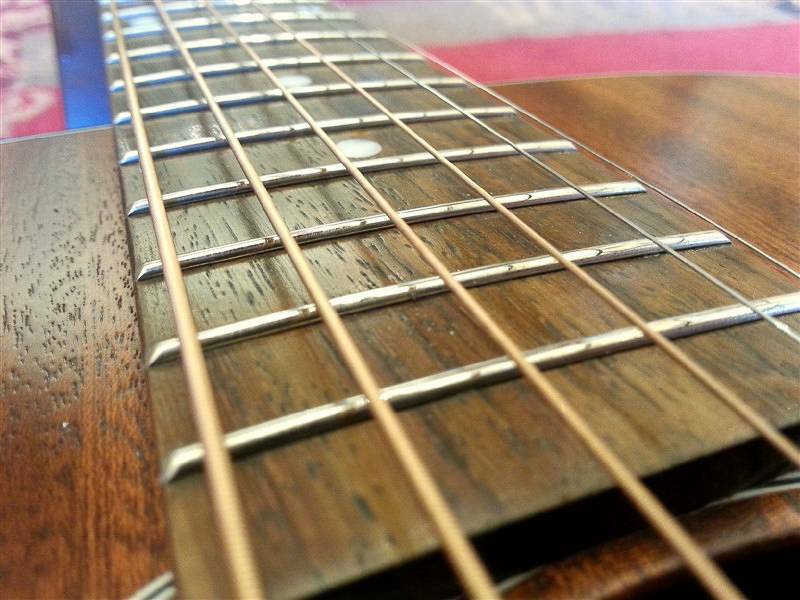 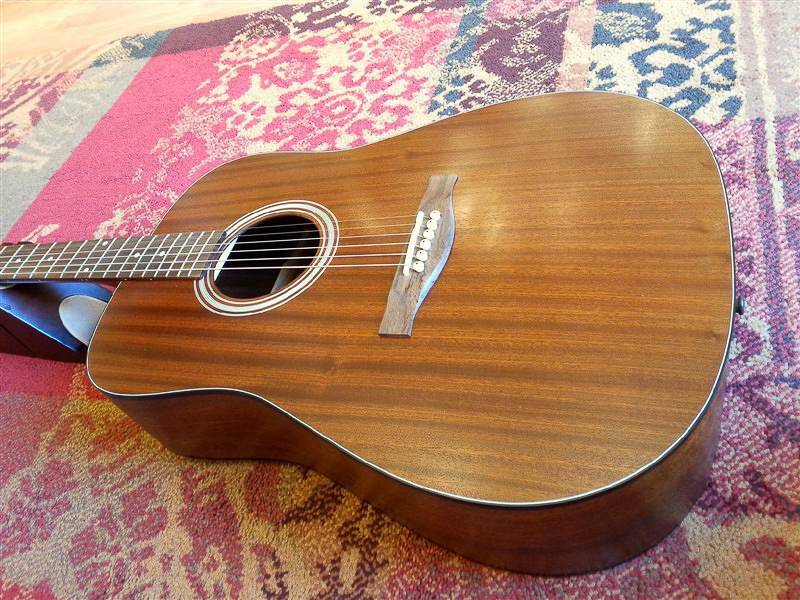 A great All Solid Mahogany Dreadnought, gigbag included. 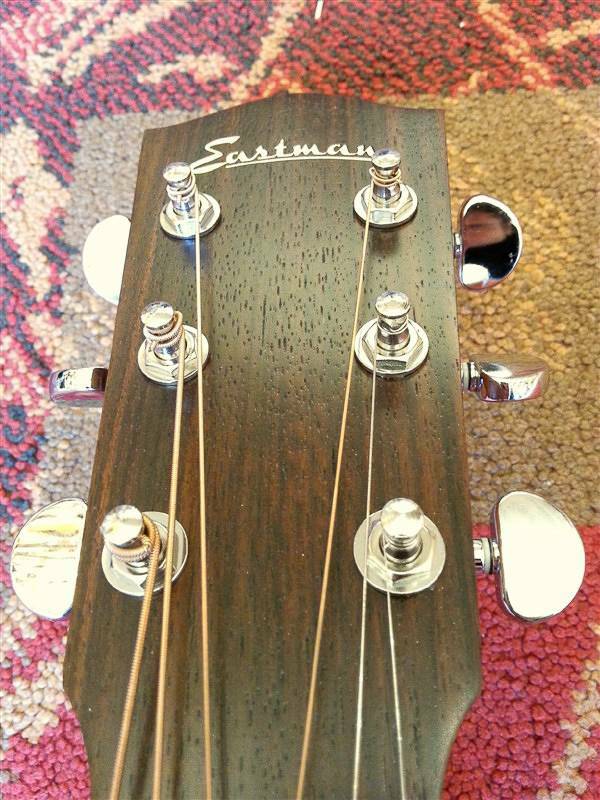 We are very pleased to see Eastman bringing more all mahogany guitars to the front. 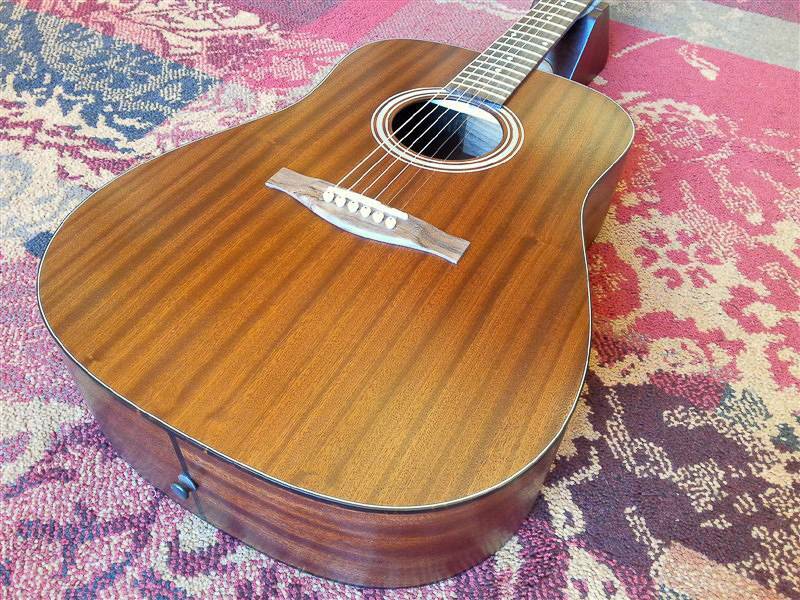 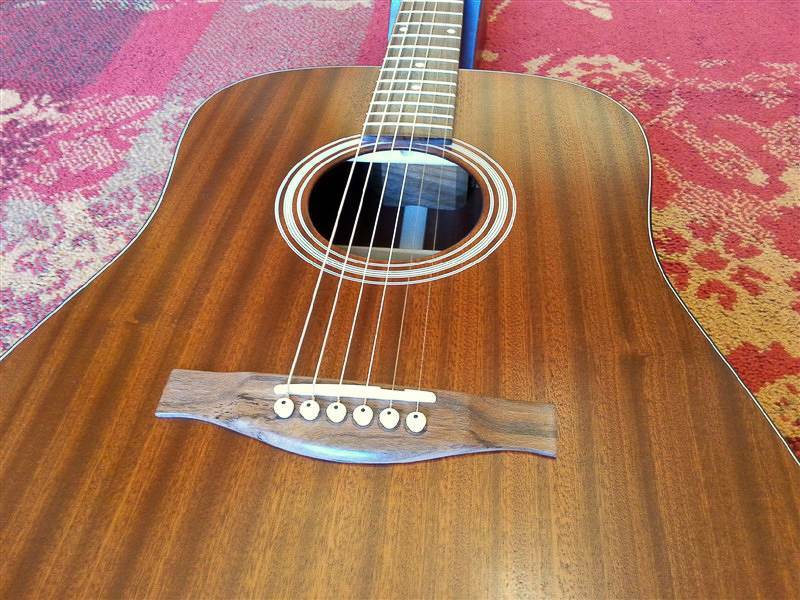 This exceptionally priced Dreadnought is a real treat to the eye and to the ears. 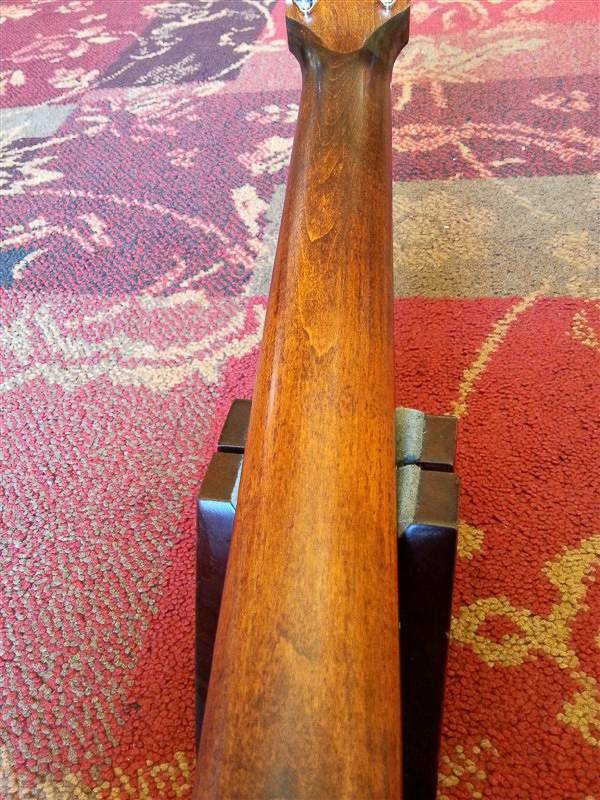 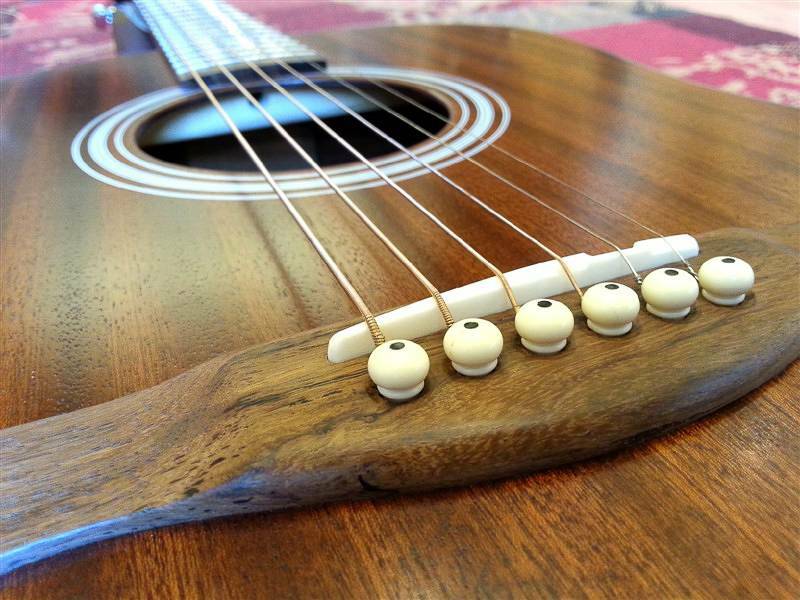 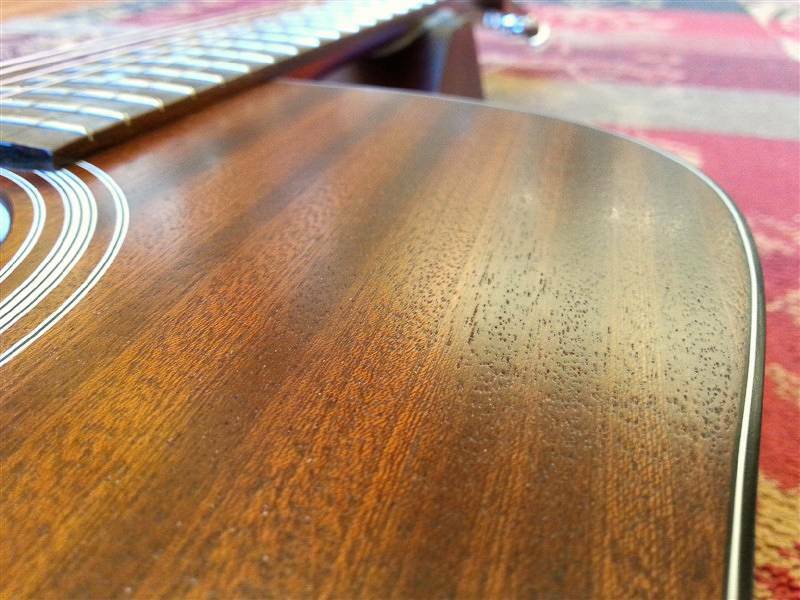 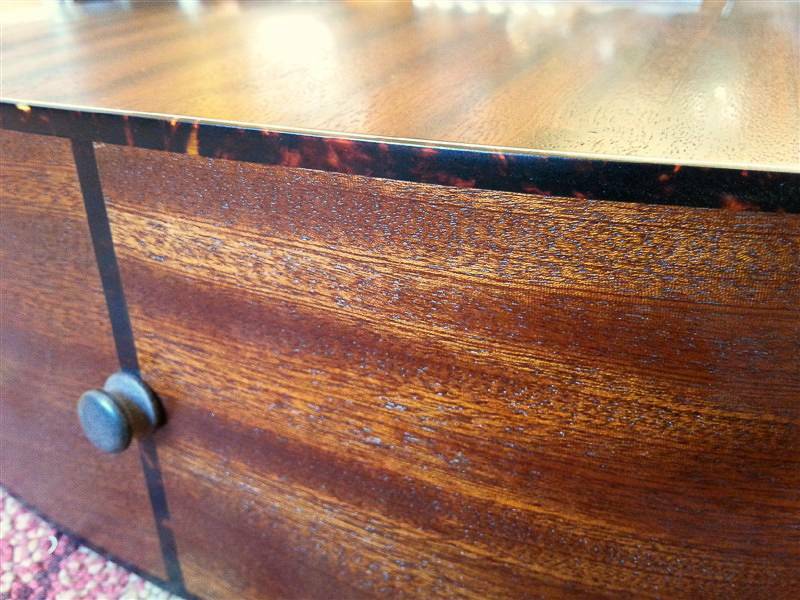 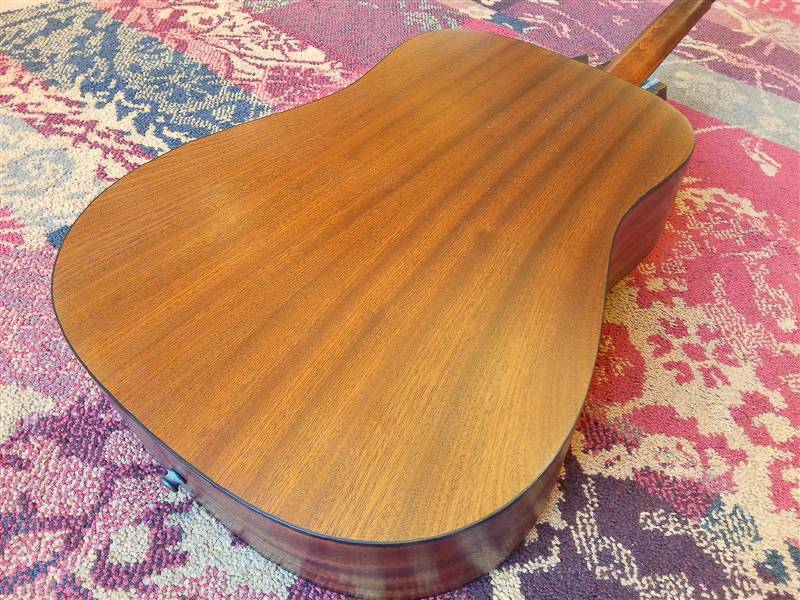 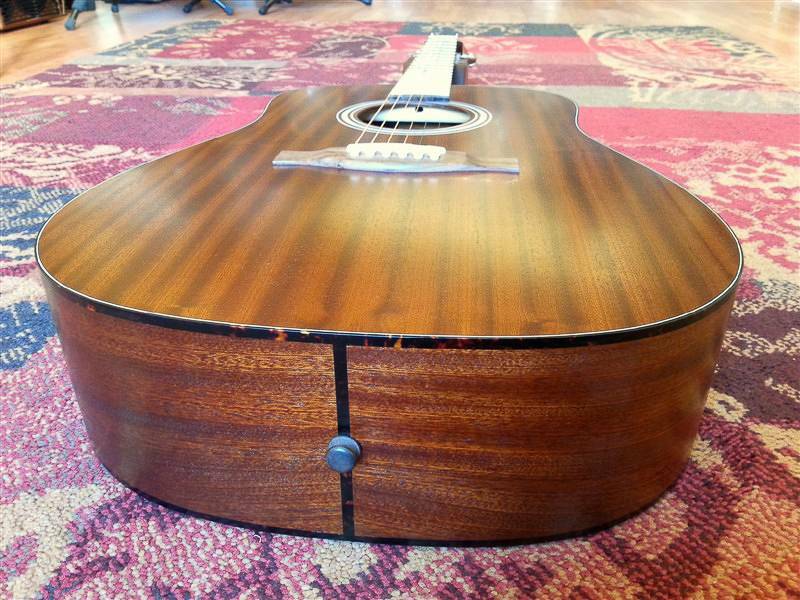 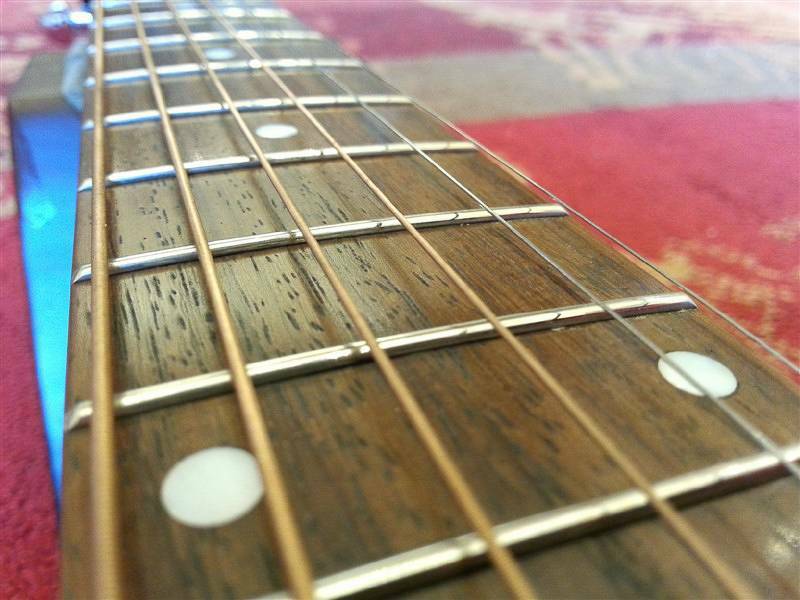 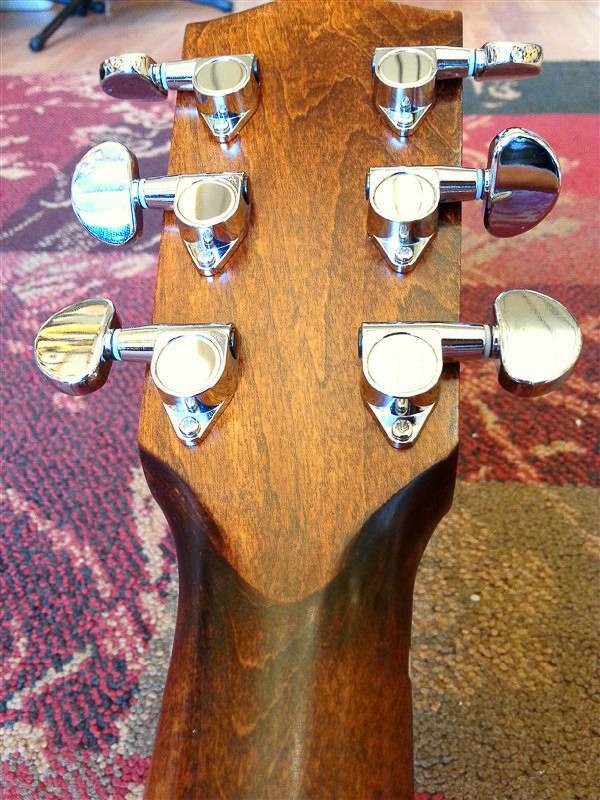 Solid Sapele top, hand-carved scalloped X bracing with extremely dynamic response, for soft picking to hard strumming. 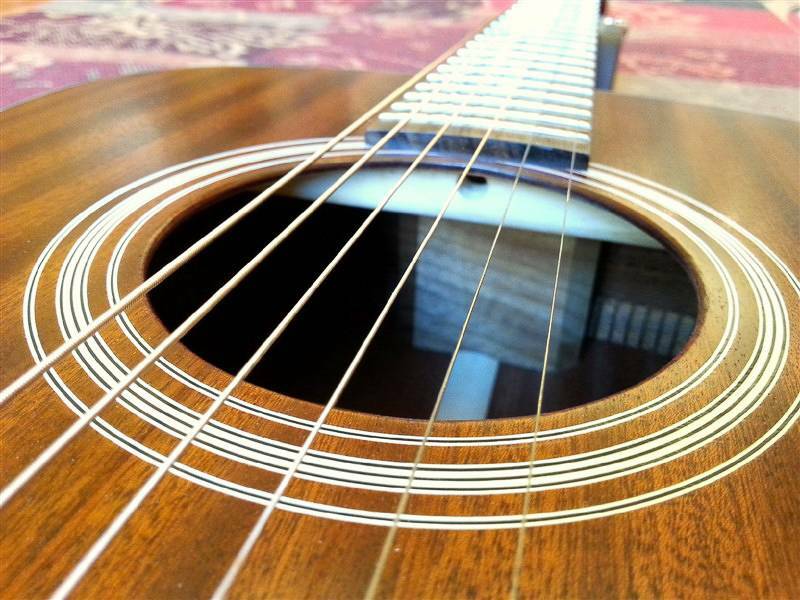 Offers full-bodied tone and room-filling volume.